I finally found some time to finish modding my Dunlop Cry Baby. There are 4 pots and 1 switch added. I added a 1k Gain/Bass pot (+32ohm resistor), a 5k Mid pot, a 50k Input-Volume pot, a 100k "Vocal" pot, and I replaced the sweep cap with a switch between 0.012uF (treble) and 0.1uF (bass). UPDATE: 0.012uF was too high (in frequency) and 0.022uF was too low, so I'm going to try a 0.018uF as the treble cap. 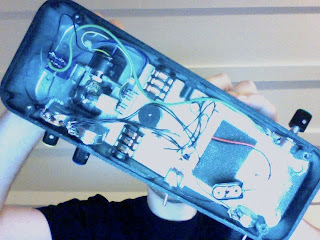 Also I made the pedal true bypass and cut the rubber stoppers a little so that the pedal has more physical range. 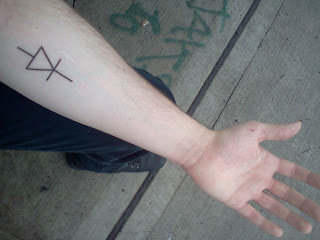 PS: I got a tattoo.